Special 100% Juice for nursing homes, school lunch programs, daycare & correctional institutions. Our juices are formulated with 100% actual real fruit juice and can also be fortified with vitamin A, C & calcium to meet all the recomended daily allowance required for use in private, public & state school districts across the USA. ISLAND BREEZES 100% Juice Plus is all 100% Juice in a concentrated format. This means just like 100% Juice in a frozen concentrate format (that after reconstitution of the products according to the label instructions 5 parts water and one part drink base) the finished forzen juice will be 100% juice in nature. The current formulation qualifies the products under the USDA/FDA Healthy Foods Guidesline's published regulations. 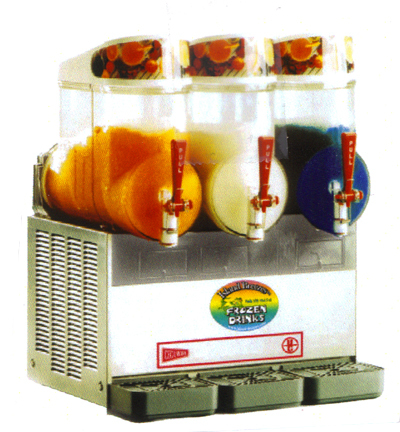 This slush drink can also be substituted for a fruit or vegitable to qualify under the federal reimbursed and/or subsidized school lunch programs. The product does not require a CN label because it is a 100% Juice Content Product with no added sweeteners (naturally sweetened by the juice concentrate) as required by Federal Guidlines. Some lesser quality juices, such as 50% juice content products require a CN label for qulification under current federal regulations. 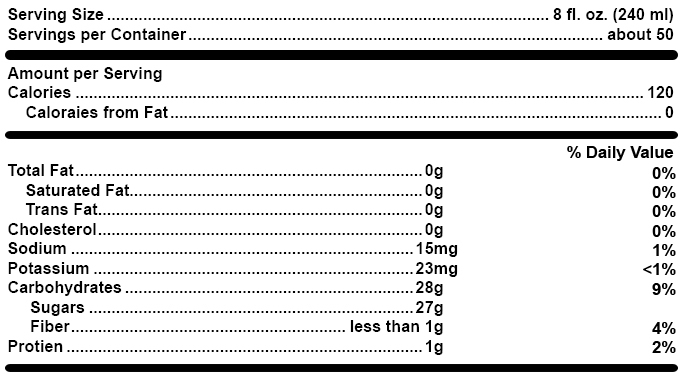 Contains less than 2% RDA of Thiamin, Riboflavin, Niacin.